Big Dog Breeds 2 is the second page about some of the most numerous group of animals in the world. They were first developed for only two purposes: Hunting and Farming and many can trace their roots to ancient times. Size is a personal matter - Some like them big and some like 'em small. But, large dog owners just think there is more to love about big dogs. Why do you like big dogs? Leave a message below. Generally less yappy than small dogs. No chance of tripping or stepping on them. All the Big Dog Breeds on this series of pages are between 45 and 88 pounds. Big Dog Breeds 2 includes all large breed dogs beginning with the letters C through F.
Although very popular in the Czech and Slovak Republics, they are rarely seen in the rest of the world. 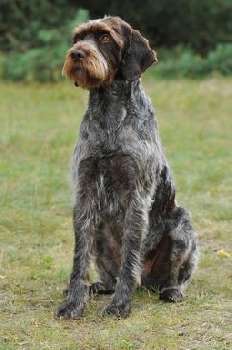 World War II devastated the breed and it was reconstructed by adding German Short-haired and Wire-haired Pointer dogs. Today they are a breed that is good with children and easy to train. Bred on the shores of the Chesapeake Bay, this is an all American made breed established in the 1800s. These dogs have energy to spare, but make great family companions, gentle with children, and are even friendly to strangers. AND, if you need a gun dog too, they are happy to oblige. This is a very rare breed originating in the United States in 1917. They are the creation of one man for the purpose of creating mushing dogs. They're good with children, other dogs, but reserved with strangers. 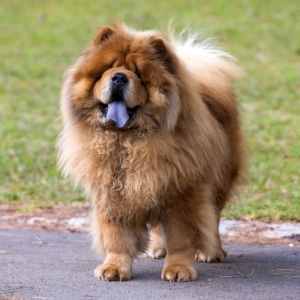 They may look like a teddy bear to some or a lion to others, but don't be deceived by looks. 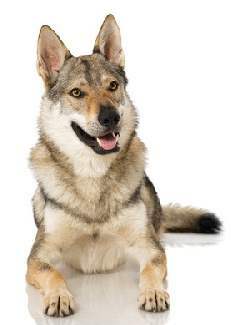 This is a breed that is very closely related to ancient wolf DNA. 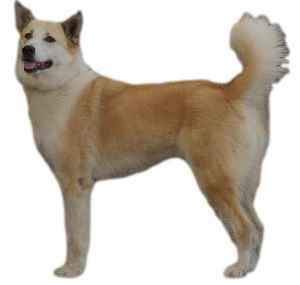 In ancient China some of these dogs were used for food and clothing. Others were used to guard and pull sleds. Today they are independent and stubborn. Non-experienced dog owners need apply! 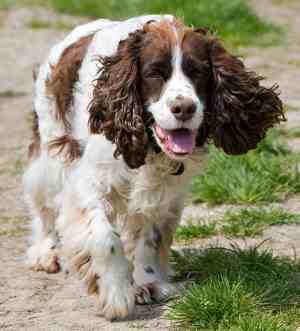 If you want a hefty spaniel, this is your man (or lady). They are laid back and easy going, once great hunters, but now family companions. 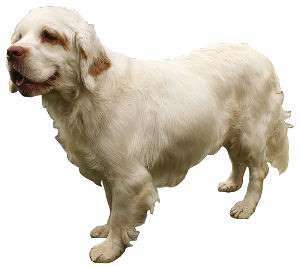 Could it be that the Clumber Spaniel was developed from the Basset Hound and the St.Bernard? The ultimate designer dog! 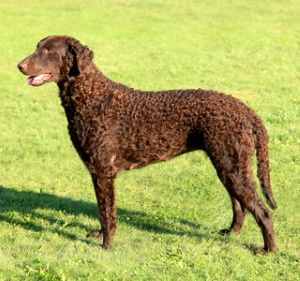 The Curly Coated Retriever has energy to spare, especially if he is retrieving on land, but especially in the water. They are sensitive, calm and gentle. While reserved with strangers, he is very good with children, making them a good choice for a family pet. Originally developed as an experiment by crossing a German Shepherd with a Carpathian Wolf, the hope was to create a breed with the temperament of a German Shepherd and the strength and stamina of a wolf. Today they are a very playful, social animal that can do well as family pet. They are very trainable, but it requires more time and patience. Here is an extremely affectionate, active breed that needs lots of room to run. They are good with children, other dogs and even with horses. 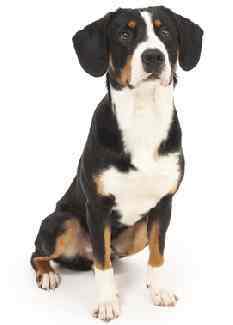 They have a stubborn streak, but are generally eager to please does well as a family pet if they get enough exercise. 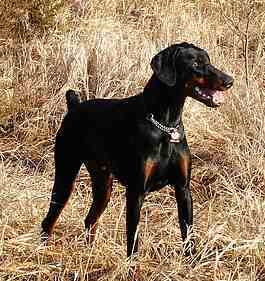 One of the most well known and popular of the German breeds. They have become famous for their guarding ability, but popularity has its price. 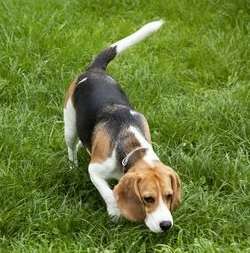 Unprofessional breeding practices has created dogs that are nervous and bite. Owners who only want a dog to guard may not socialize them properly. 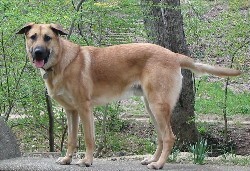 Between the two, the breed often receives a negative reputation. Here's an all round dog: Hunter, pointer, retriever and companion. 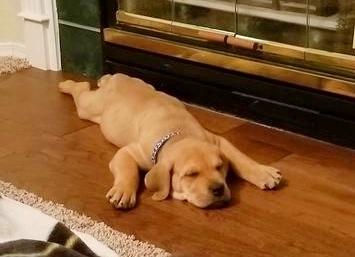 If you want an example of a hunting dog before diversification, this is a good example. Their appearance hasn't changed much in 400 years. There is a small gene pool in the Netherlands, but enough to keep the breed alive. But anyone who wants this gentle, obedient dog, a trip to the Netherlands might be in order. Here is a strong, calm, even-tempered dog with a thick double coat that requires some maintenance. They make great companions, despite their original purpose ~ pulling sleds and hunting. Does he look like a wolf to you? 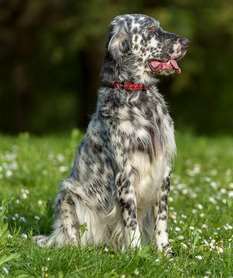 Contrary to the name, these dogs were developed in Virginia, Tennessee and Kentucky (USA). The females are much smaller than the males, but both genders are powerful and muscular. They are good around children, which makes them a good choice for a family pet. 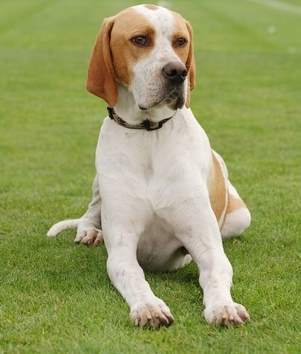 The English Pointer is no longer worked as a gun dog, but still retains their serious personality. They are kind, but rather sensitive. Good with children, they make a great choice as a family pet. Having evolved from spaniels, they are seldom used for hunting now a days. The breed is quiet, loving, and easy to train. They still require a great deal of exercise, but do exceptionally well for families with children. 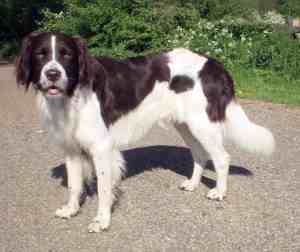 The English Springer Spaniel is both a hunter's companion and a family pet. 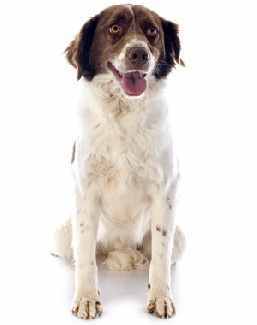 Whether bred to be a hunter, a pet, or even a service dog, the Springer has an intense desire to please their owner. Today, there are plenty of jobs to do: flush and retrieve, scent out illicit goods, or serve as border patrols, these dogs are good at whatever job you throw at them. Energetic and Enthusiastic, they also make excellent family pets. 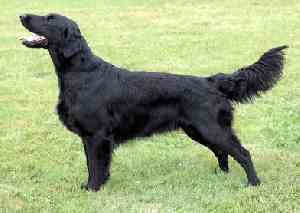 This breed is popular in their native country of Switzerland as a companion, but very rare elsewhere in the world. Their origins can not be traced, but it is thought that they have been known in the Swiss mountains since antiquity. Here is a friendly breed, very popular in their native country. They are calm with other dogs and gentle around children, they make good family pets if the people are willing to provide the necessary exercise and stimulation. 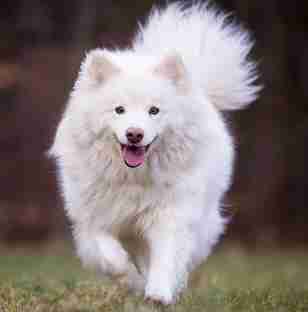 Very similar to the Swedish Lapphund, these dogs are study and active and have strong herding instincts. They were originally used to herd reindeer. Today they herd sheep and cattle and serve as a loyal companion. 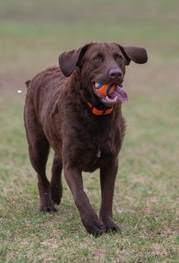 Here is a happy breed that loves to play and retrieve. 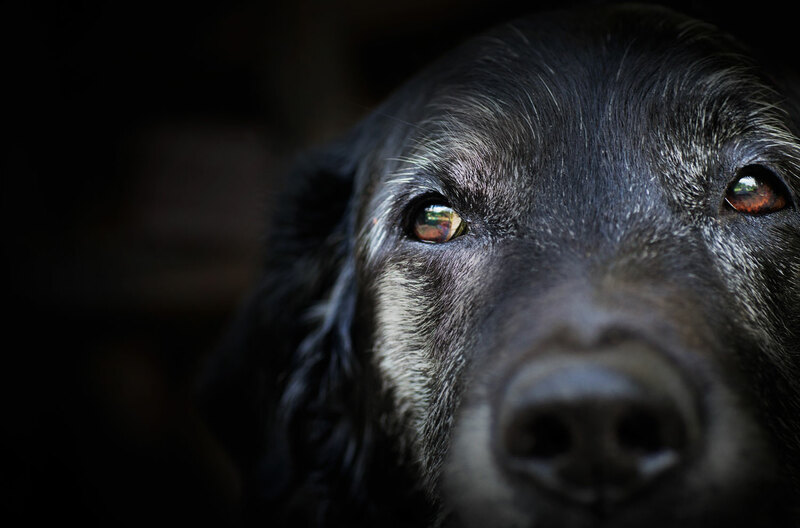 Once a busy working dog, they are mostly companions today. Always on the go outside,they are quiet and calm indoors. 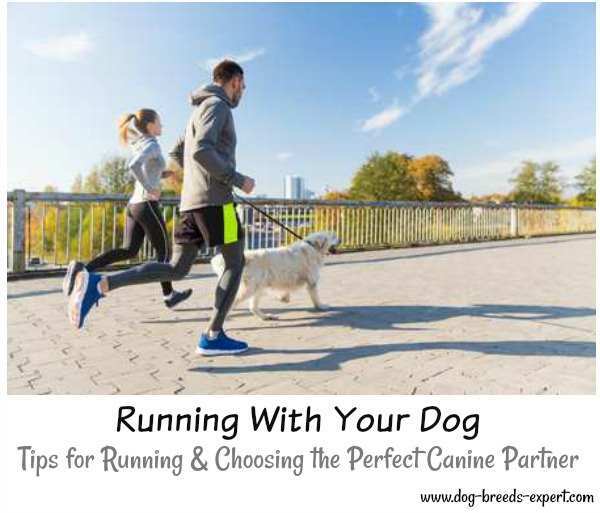 Just like other retrievers, they are devoted and responsive to training. But be sure to allow for plenty exercise or you may live to regret it. 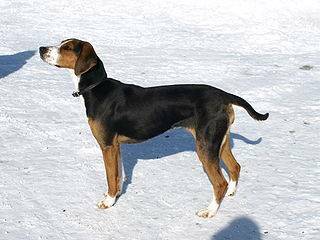 Whether you call it the Foxhound or the English Foxhound, they are the classic pack hunting dogs. They are relaxed in the presence of both dogs and humans, they do well on the hunt, but are rarely chosen as a companion. Today, the working future is in jeopardy as any hunting to kill with dogs has been banned in England. Here is an elegant and gentle dog rarely seen outside of France. This gun dog is more likely found in a loving home. 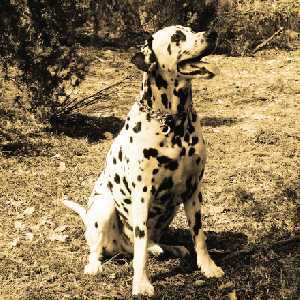 They are gentile, quiet, sensitive dogs that strive on positive obedience and copes well in cold climates.